This video presents a series of different conditioning protocols that will enable you to maximize your physical fitness goals. 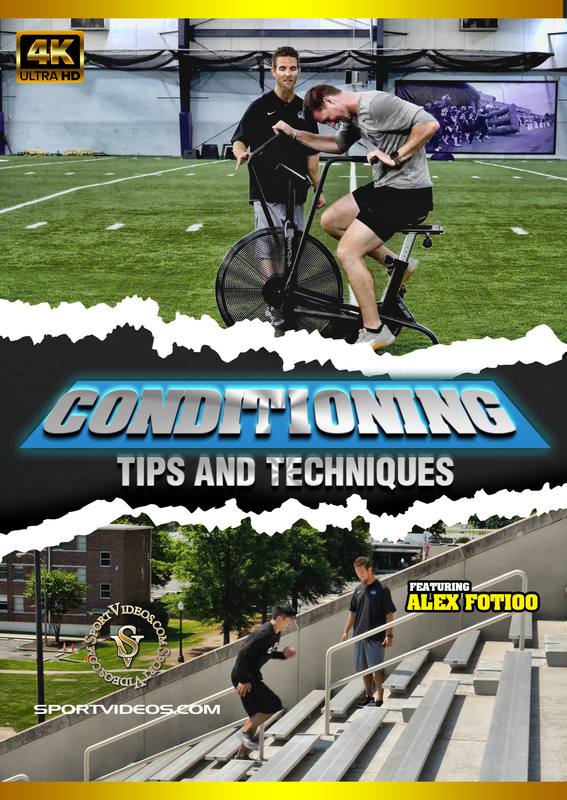 Among the topics covered are: Warm Up (Dynamic and Static), Stadium Runs and Hops, Running Drills, Assault Bike and Push Sled. Coach Alex Fotioo explains the exercises in detail, using both high-intensity interval training (HIIT workouts) and low-intensity interval training (LIIT workouts). This program is a great resource for any personal trainer, coach or athlete. 53 minutes. 2018. About the coach: Alex Fotioo is the Director of Strength and Conditioning at the University of Central Arkansas (UCA) in Conway, Arkansas. He was an assistant at the University for three years prior to being promoted to Director in 2016. He is Certified through the Collegiate Strength & Conditioning Coaches Association and the National Strength & Conditioning Association. Alex also teaches several Weight Training and Conditioning classes at the UCA .